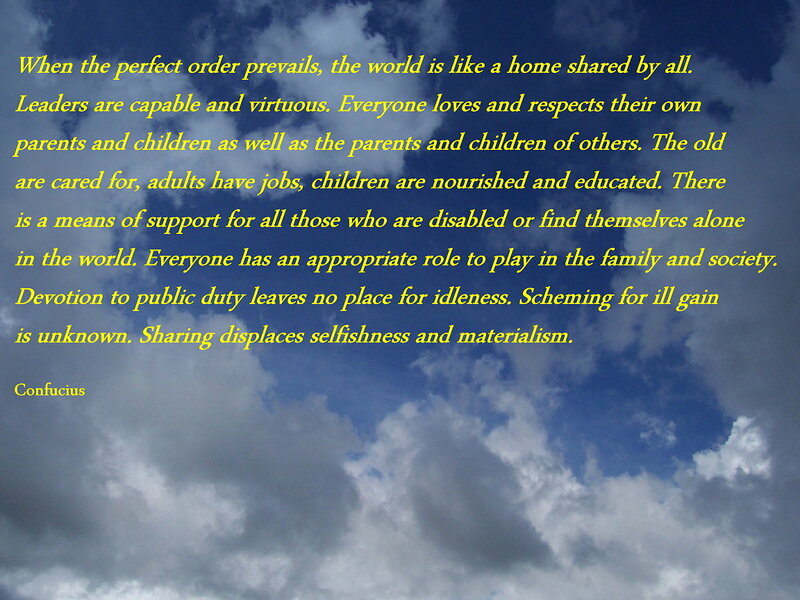 Thought Provoking Quote:When the perfect order prevails, the world is like a home shared by all. When the perfect order prevails, the world is like a home shared by all. Leaders are capable and virtuous. Everyone loves and respects their own parents and children as well as the parents and children of others. The old are cared for, adults have jobs, children are nourished and educated. There is a means of support for all those who are disabled or find themselves alone in the world. Everyone has an appropriate role to play in the family and society. Devotion to public duty leaves no place for idleness. Scheming for ill gain is unknown. Sharing displaces selfishness and materialism. “Confucius September 28, 551 – 479 BC) was a Chinese teacher, editor, politician, and philosopher of the Spring and Autumn period of Chinese history. Oh if only! Who would not wish to live in the type of society which Confucius envisioned. I don’t agree with every thing that Confusion said and indeed I have not read his philosophy in any detail but the above for the most part describes an ideology for a better world. Such noble ideals and aspirations seem so far removed from possibility, though they are for the most part the ideal. A real utopia , isn’t that want we all want? Who would not wish to live in such a society were its leaders are virtuous, where love and respect is universal, where all members of society are cared for including the sick, disabled, the elderly and children. Such ideology is far removed from the situation we have today in much of the world. When those who cannot care for themselves are regarded as a burden – vilified and labeled as scroungers, workshy and skivers as is the case here in the UK – such high ideals seem but a dream. While millions die from want of food, clean water and medication, where both human and non human animals are exploited for the greed of the few such a society is difficult to envision. While the most able and most wealthy continue to increase their riches and thrive at the cost of the most vulnerable, it seems as though our ethical progression is going backwards rather than forwards. Man: A video About Our Relationship With the Natural World. The following film is spot on in its depiction of our treatment of the planet and the other species with whom we share this world. While many more people are aware of what is happening to our world and the creatures with whom we share it the destruction and exploitation continues relentlessly. At times we can feel so helpless against the onslaught. Human beings it seems are caught up in a complex web of self-destruction from which it is not easy to extricate ourselves. Most of us wish to live in a world were no animal is harmed, including of course members of our own species, and were the environment is not laid waste and where there will be a habitable home for future generations. Please share the video particularly with someone who is either not aware of the nightmare of destruction and exploitation which continues relentlessly, though I cannot imagine how anyone can remain oblivious, or someone who appears indifferent. If we don’t stand up to this government,more people are going to descend in to poverty, and worse, and this country will sink in to totalitarianism faster than you can say ‘Iran’. If only this pampered over privileged puppet of the ruling classes spoke out for the people maybe, just maybe all the years of living off the state could be forgiven. On 27th May last year, the state opening of parliament, this automaton sat on her throne and read a prepared speech that condemned thousands to poverty and the scrapping of the human rights act. She did so with her usual robotic emotionless voice, without expression or remorse. Why I have to ask? The Queen is over eighty years old, but what has she got to show for her life? What good has she done? What difference has she made? Has the world been improved by her presence? She has so much power why does she not wish to be remembered in history as having stood up for what is right instead of being an accomplice to some of the greatest social injustices of modern-day Britain. I am fascinated in some bizarre way, what makes a person of this calibre tick. This woman could have with but one act of decency in her entire life swept away this abhorrent government by refusing to read out this speech, a speech which has condemned many to more deprivation and misery and which will bring in an era of injustice hitherto not seen in our life time. Prior to the election there was rumour that the Queen would pull out of giving the speech if Cameron tried to lead the country with a minority government. Sad isn’t it that she couldn’t consider pulling out of giving the speech because of the harm it will do to British citizens. The woman is either a coward or she condones the proposals of this vile government. Time to end this grave injustice. A calendar of protests, rallys, sit-ins, strikes, petitions, occupations, meetings, talks, film screenings & all other forms of non-violent direct actions. They have us all in the prisons of our work, working to pay off imaginary debt that we get deeper into as prices rise and wages fall. No wonder more were’t there. And with the met jack boots there to kettle and arrest i can understand even more. I despair sometimes as the game has been rigged so well now that apathy and sheer exhaustion has created the perfect environment for the authoritarian barstards to push through the worst modern tyranny in this ruined country. …for the sake of a little flesh we deprive them of sun, of light, of the duration of life to which they are entitled by birth and being. The idea in the above quotation of course is that if meat was a natural diet you would not need an implement of any kind to kill the animal to provide you with meat. Please share this video widely. This and the articles and links below present compelling reasons why people eat meat and why they should stop doing so. Ask any meat eater why people eat meat and they’ll tell you it’s delicious, that eating meat is not only natural but also normal and necessary. Ask Dr. Melanie Joy the same question and you’ll get a much darker—and interesting—answer: a violent ideology has convinced them they must do it. That ideology is carnism, the opposite of veganism. Never heard of it? That’s exactly her point. The 4Ns which people use to justify their meat consumption are that it is normal, natural, necessary and nice. Anyone who has been involved in a discussion on the ethics of vegetarianism or veganism will no doubt of heard one or all of these reasons being given before. 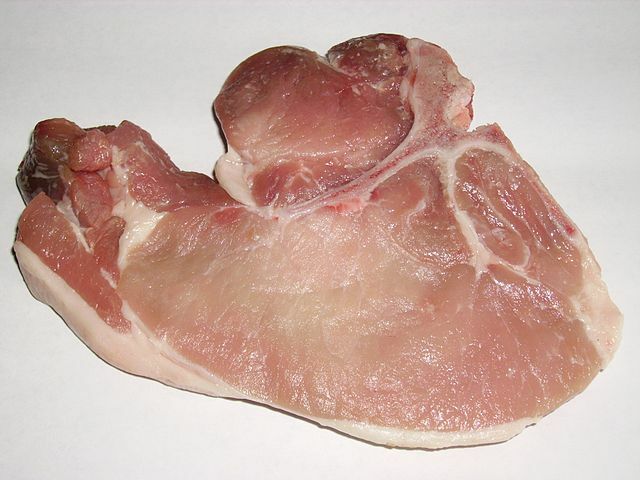 Meat is most certainly is not natural, human beings do not have the anatomy of a meat eater. It is not necessary for health and is in fact a detriment simply because it is not a natural food. It is only normal because we perceive it to be so after generations of thinking this way. As for it being nice … well that is the most pathetic of reasons to eat meat and really is not worthy of consideration by any compassionate person. Read more of Plutrach’s argument which is indeed very persuasive against meat being a natural food for man, an argument that will often leave even the most ardent meat eater lost for words. For that man is not naturally carnivorous is, in the first place, obvious from the structure of his body. A mans frame is in no way similar to those creatures who were made for flesh-eating; he has no hooked beak or sharp nails or jagged teeth, no strong stomach or warmth of vital fluids able to digest and assimilate a heavy diet of flesh. It is from the very fact, the evenness of our teeth, the smallness of our mouths, the softness of our tongues, our possession of vital fluids too inert to digest meat that nature disavows our eating of flesh. If you declare that you are naturally designed for such a diet, than first kill for yourself what you want to eat. Do, it however, only through your own resources, unaided by cleaver or cudgel of any kind or axe. Rather, just as wolves and bears and lions themselves slay what they eat, so you are to fell an ox with your fangs or a boar with your jaws, or tear a lamb or hare in bits. Fall upon it and eat it still living, as animals do. But if you wait for what you eat to be dead, if you have qualms about enjoying the flesh while life is still present, why do you continue, contrary to nature, to eat what possesses life? Even when it is lifeless and dead, however, no one eats the flesh just as it is; men boil it and roast it, altering it by fire and drugs, recasting and diverting and smothering with countless condiments the taste of gore so that the palate may be deceived and accept what is foreign to it. In this essay Plutarch challenges the idea that man is naturally carnivorous; an excuse so often used today to justify the eating of meat appears to have been used for its justification in ancient times. Also in his discussion against meat eating Plutarch maintains that animals deserve ethical consideration because they possess the attributes of intelligence and sentience. Read more about what Plutarch had to say about meat eating and our treatment of animals. Below are quotations from philosophers and ethicists past and present concerning animal rights; the humane treatment of animals and adopting a vegetarian/vegan diet. Isaac Bashevis Singer was a Polish-born Jewish author in Yiddish, awarded the Nobel Prize in Literature in 1978. Even though the number of people who commit suicide is quite small, there are few people who have never thought about suicide at one time or another. The same is true about vegetarianism We find very few people who have never thought that killing animals is actually murder, founded on the premise that might is right . . . I will call it the eternal question: What gives man the right to kill an animal often torture it, so that he can fill his belly with its flesh. We know now, as we have always known instinctively, that animals can suffer as much as human beings. their emotions and their sensitivity are often stronger than those of a human being. Various philosophers and religious leaders tried to convince their disciples and followers that animals are nothing more than machines without a soul, without feelings. However, anyone who has ever lived with an animal be it a dog, a bird or even a mouse – knows that this theory is a brazen lie, invented to justify cruelty. Greek philosopher, mathematician, mystic, known as the Father of Vegetarianism. “As long as men massacre animals, they will kill each other. Indeed, he who sows the seeds of murder and pain cannot reap the joy of love. Alas, what wickedness to swallow flesh into our own flesh, to fatten our greedy bodies by cramming in other bodies, to have one living creature fed by the death of another! In the midst of such wealth as earth, the best of mothers, provides, yet nothing satisfies you, but to behave like the Cyclopes, inflicting sorry wounds with cruel teeth! You cannot appease the hungry cravings of your wicked, gluttonous stomachs except by destroying some other life. Recently Luis Leonel who writes for this blog shared the following video with me which I would like to share with you today. Please pass on and share with others. It is important in the fight for animal rights to show people that animals are sentient beings and this video demonstrates this very well. The affection between this cat and piglet shows clearly that animals are sentient beings capable of emotions. As such they have the right to their lives, to be free from human cruelty, exploitation and ownership. No Matter where you go it is difficult to escape or avoid any of the great social injustices here in the UK, one of the reasons that I cannot understand the lack of outrage concerning many of these grave social wrongs to which most people remain oblivious. Why aren’t people marching in their thousands, even their millions, down to parliament and demanding the Tories get out of government, demanding a cessation of the unfair treatment of people on benefits – the sick and disabled, the unemployed and the low paid – an end to austerity, and tax evasion by corporations, to name some of the most prominent of injustices in the UK today. 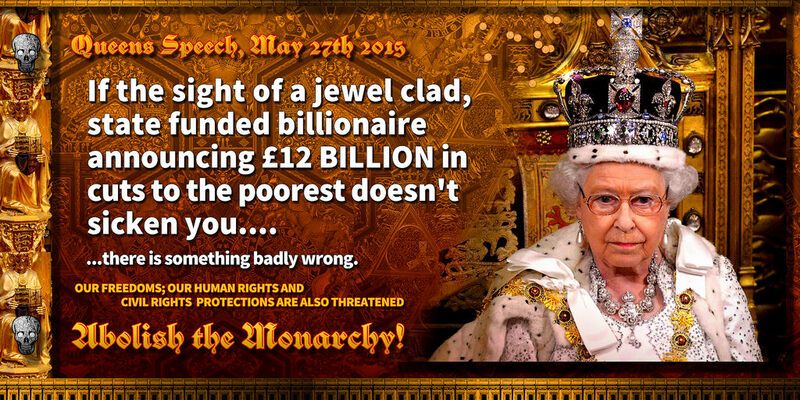 One of signs of these injustices concerns the proliferation of food banks. My husband and son enjoy visiting old churches and other historic buildings and in many of these churches you will find a collection point for local food banks, which shows that the problem is more serious than we are led to believe if we are under the impression that it is the Throstle Trust alone which distributes food to poor people here in the UK. You would also be amazed at the places you come across that collect for local people who cannot afford to buy food most likely as a result of low wages and Tory welfare reforms including benefit sanctions, and other austerities. In some cases these may be quite affluent areas of the country, such as the Cumbrian Lake District. 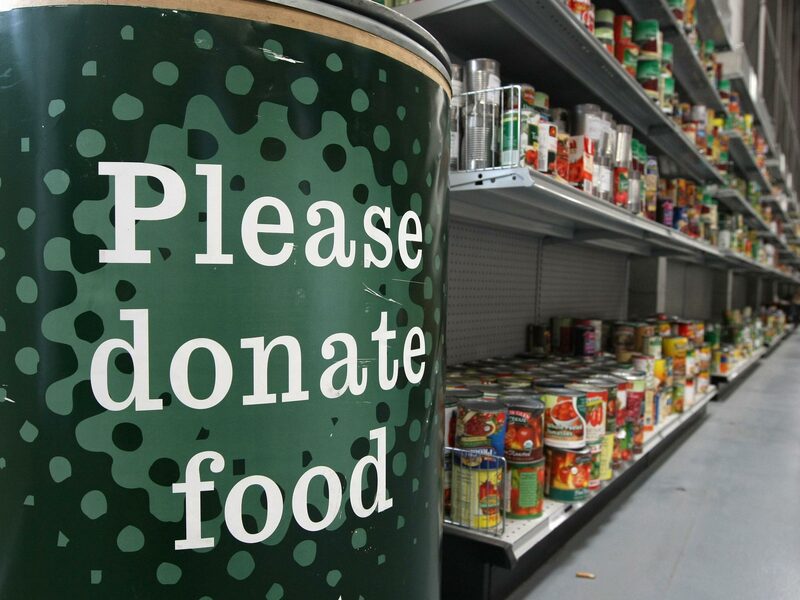 According to research by the independent two thirds of people relying on food banks blamed benefit sanctions, while 12 per cent said cuts to welfare were the reasons that they were forced to use food banks. Low wages are also to blame. The fact that people here in the UK one of the richest countries in the world need to reply on food banks or go hungry shames us. The fact that few people question this outrage shames us. Food banks supply food for three days only – this applies to The Throssle Trust food banks, I have no information concerning other food banks. Though food banks are of great importance, as they fill the crack left by this great social injustice here in the UK where people go hungry while shops are bursting with food in abundance, the fact remains that people here in one of the richest countries in the world are struggling to feed themselves and their families. In the year after we celebrated the Queen becoming the longest reigning monarch, exceeding the reign of Queen Victoria, perhaps we should also note that for many people here in the UK food banks, as a result of government policy, are returning us to the Victorian age of poverty and destitution. In one of the richest countries in the world, why are we tolerating a situation where food banks are needed? The Tories have dragged this country back to the Victorian era, while their donors and corporations are not even paying their taxes, poor, sick and disabled people are being driven to poverty and degradation. This shames every one of us who is content to let this happen, though there surely can be few of us who are not somehow affected by what the Tories have done since they came into power. The three main reasons people are referred to food banks are 1) benefit delays, 2) low income, and 3) benefit changes. If people were paid a living wage and not exploited with poor wages then benefits for working people would not need to exist in the first place, benefits that are in any case so inadequate and may be sanctioned at any time for no good reason. Low wages and inadequate benefits drive people to use food banks. In a just society where sick and disabled people were getting enough income to live on, food banks would not be needed. It is only since Tory welfare cuts have food banks risen to the enormous extent that they are today. This is all well and good but for people who are on sanctions with zero money coming in or a very low-income managing money advice is irrelevant of course – you cannot manage what you do not have.Benefits even when receiving the full rate and these days few people are, are grossly inadequate. Advice to people under the threat of sanctions of course is a good thing as is help and advice applying for what puny benefits are available. But although well meaning and in many cases a great asset to many, the real solution is to do something about benefits cuts and low wages. 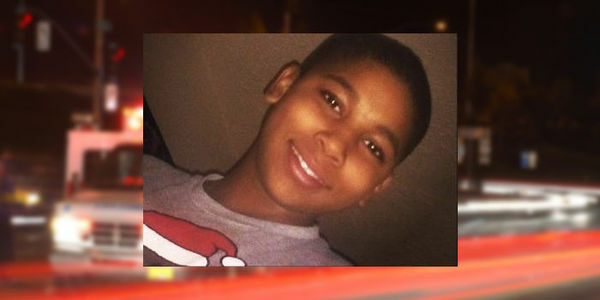 On November 22, 2014, a 12 year-old child by the name of Tamir Rice played with a toy gun outside of Cudell Recreation Center in Cleveland Ohio. A concerned person nearby saw Tamir pointing the toy and called 911, informing the dispatcher that the potential weapon might be a fake gun and that the person with the toy appeared to be a juvenile. This bit of crucial information never made it to the responding officers and two seconds after arriving on the scene, Tamir was shot in the torso. This week — as though the pain of losing a child were not enough — the City of Cleveland billed Tamir’s family for the boy’s ambulance ride to the hospital where he died. Blamed the child for his own murder, saying that that Tamir had not shown sufficient caution in the two-seconds before he was shot by a police officer who had previously been fired by another department for failing to meet that community’s standards for law enforcement skills. The Rice family’s nightmare must end. Demand that Cleveland’s mayor immediately settle with Tamir’s family and acknowledge its wrongdoing so that this boy’s family can finally find justice and peace. This family has suffered enough, a grave social injustice took the life of this young boy and unless wrong doing is recognised and addressed more and more innocent people will die. Last year in the USA 1,136 people were killed by police, that’s about an average of three people each day. One in ten people killed had a mental health problem. Black people are twice as likely to be killed than white people. Last year saw the highest rate of young black men killed in the USA by police: Final total of people killed by US police officers in 2015 shows rate of death for young black men was five times higher than white men of the same age About 25% of the African Americans killed were unarmed, compared with 17% of white people. More people are killed in the USA by police than almost any other country. In 2013, only six bullets were fired in total by police in Finland – while Iceland has one recorded fatal police shooting in the 71 years of the country’s existence. Here in the UK last year the first person to be killed by police was not killed until September. The current population of the US is about 319 million, whereas the UK population is roughly 64 million. This means there are nearly five time as many people in the US as in the UK, yet the police have managed to killed 776 times more people than officers in Britain. In 95 years in the UK, police have fatally shot 51 people in single shooting incidents, whereas in US police have fatally shot 78 people in November 2015 alone.In the same month in the UK, there were no gun-related fatalities as a result of police shootings. As of December 23, a total of 12,942 people had been killed in the United States in 2015 in a gun homicide, unintentional shooting, or murder/suicide.